If you buy real estate as an investment there is a way to sell it at a gain without paying tax on the gain at the time of sale. This is done by using the exception outlined in Section 1031 of the Internal revenue code. Reinvest the proceeds in a similar property as part of a qualifying like-kind exchange and the gain is tax-deferred. 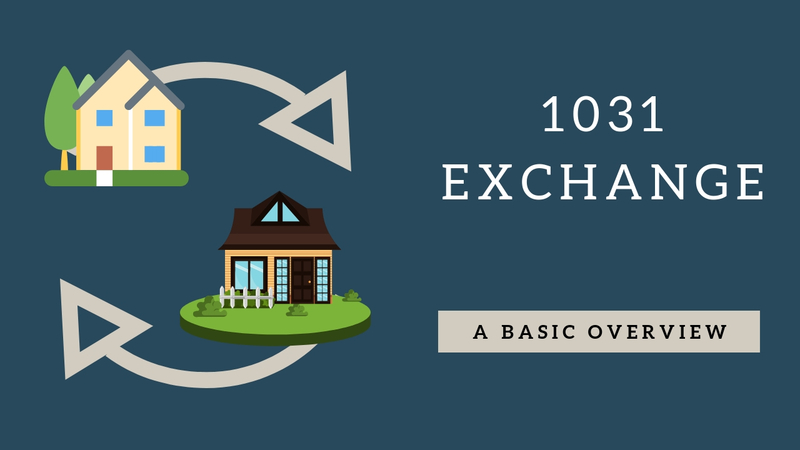 The simplest type of 1031 exchange is to exchange one property for another. Both properties must be held for use in a trade or business or for investment. Property used primarily for personal use, like a primary residence or a vacation home, does not qualify. Timing is key, you must meet two time limits or the entire gain will be taxable. These limits cannot be extended for any circumstance or hardship except in the case of presidentially declared disasters. DO Identify the Replacement property within 45 days from the date you sell the relinquished property. You must identify the property in writing, check with me or your tax professional on what needs to be included in the description and who needs to receive the written identification. DO Complete the exchange no later than 180 days after the sale of the exchanged property or the due date (with extensions) of the income tax return for the tax year in which the relinquished property was sold, whichever is earlier. The replacement property received must be substantially the same as property identified within the 45-day limit described above. DO Carefully select the Qualified Intermediary (this is the person or company that among other functions holds the proceeds until the 1031 exchange is complete.) Your accountant, Realtor®, attorney, or employee cannot act as the Qualified Intermediary. DO work with your tax representative to adjust and track basis correctly to comply with Section 1031 regulations. Gain is deferred, but not forgiven, in a like-kind exchange. You must calculate and keep track of your basis in the new property you acquired in the exchange. DO Report the 1031 exchange to the IRS on Form 8824 file it with your tax return for the year in which the exchange occurred. Disclaimer: this is a quick, incomplete discussion of the simplest form of a 1031 exchange, before entering into an exchange consult your tax advisor.